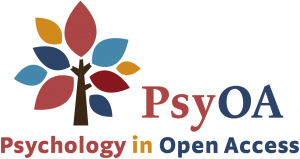 We do not have a process currently for evaluating whether a journal meets FairOA principles, but here are some journals that publish psychology and do not have APCs (which is not just a waiver in the first years, although that is very hard to guarantee). Some journals, such as the Journal of Eye Movement Research, have a fee but waive it for some or all authors who cannot pay. However, Fair Open Access is about promulgating funding models for which authors never need pay. Most people associate open access closely with APCs – journals charging a fee. However, thousands of open access journals do not charge a fee (see DOAJ) – although most do not publish psychological science.